Dr. Erika Stapert is a New York State licensed psychologist (#019279) who received her B.A. in Psychology from the University of Michigan and went on to earn her doctoral degree in Clinical Psychology from the The Chicago School, an APA accredited program. Dr. Stapert specializes in the treatment of young children with emotional and behavioral disorders and is a certified Level I Trainer in the use of Parent-Child Interaction Therapy (PCIT). She completed her PCIT training at the University of Oklahoma with Dr. Beverly Funderburk, Vice-President of the PCIT International Board of Directors, and her training team. Dr. Stapert currently both provides PCIT as well as trains and supervises clinical psychology interns and social workers in the use of the modality. 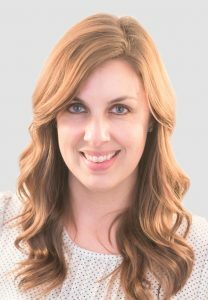 Dr. Stapert is confident in the use of PCIT to treat children with issues related to anger/aggression, oppositional behavior, ADHD, social skills delays, and attachment issues, and thoroughly enjoys helping to facilitate the significant changes that her clients make throughout the course of treatment. Dr. Stapert also has extensive experience in treating school-aged children, young adults, adults, and families with a variety of presenting issues including but not limited to anxiety, depression, trauma, relationship issues, and ADHD. She has provided individual, family and group therapy in a variety of settings including Head Start programming, a therapeutic nursery, and other outpatient clinic settings. In addition to being formally trained in PCIT, Dr. Stapert is also trained in play therapy, parent management training, and exposure with response prevention for anxiety disorders. She uses an integrated approach including cognitive-behavioral, solution-focused, psychodynamic, systems and client-centered techniques, and works closely with each of her clients in determining the best treatment approach in addressing their specific needs. Cognitive Behavioral Therapy: Can I Learn It Myself Or Do I Need A Professional? When Is The Right Time To Change My Child’s Therapist?